Review: OPI Muppet Excuse Moi! Looks lovely on my fingers. I'm having 'the time of the month' now and decided to do something with my nails. So I went to Glitters at One Utama to get my nails done. I fell in love right away with OPI's Muppets Collection. OPI Excuse Moi! 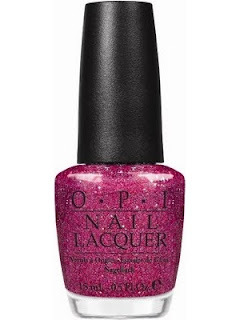 is a sheer pink base filled with multi coloured glitter. 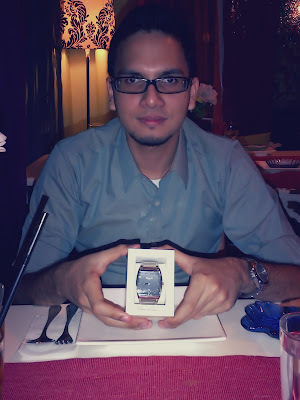 Ahem! This pink glitter has something to say! This sparkly pink is unashamedly girly. It needs three coats for a perfectly opaque coverage and will make nails really stand out from the crowd! But I read some review online and some said that "A nightmare to remove - took nearly two hours even with gel removers and normal polish remover." 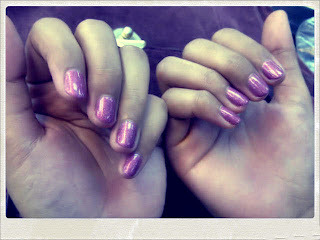 Glitters usually charged RM20 to apply nail polish, but since this one is three coats, the price is RM25. You really need to make a reservation first at Glitters, or else you need to wait 30 minutes for your turn (I went on weekdays). I think this is because Glitters offers the cheapest price at One Utama, and they can only entertain a maximum of three customers at one time.